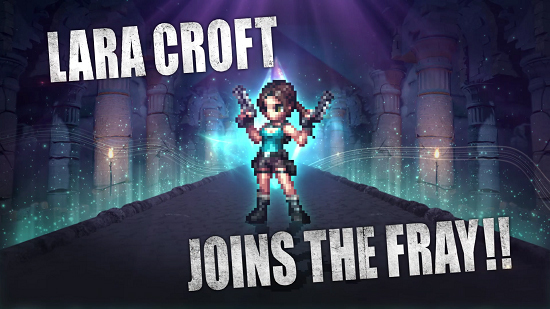 Tp celebrate the upcoming motion picture release of TOMB RAIDER (in cinemas on March 16) the iconic treasure hunter Lara Croft is to the hit free-to-play RPG Final Fantasy Brave Exvius for a limited time starting March 9. The new collaboration event will give players the opportunity to battle the Apep boss during the Lara Croft and the Temple of Osiris raid. Additionally, FINAL FANTASY BRAVE EXVIUS characters will be reskinned based on characters from Lara Croft and the Temple of Osiris including Explorer Aileen, Divine Soleil, and Pharaoh Abe - available for a limited time through gacha summon pickups.